If you aren’t unplugging from technology anytime soon, maybe you could use an update. How about checking out the latest, sleekest and fastest gadgets to get things done.? Where fashion meets function for your ultimate convenience. Here are 8 stylish tech gadgets you can get your little (or big) fingers on. A collaboration between Michael Kors and Fujifilm, This stylish tech camera captures the creative essence of fashion and photography in one limited edition camera. Parrot Zik 3 is a hi-tech, ultra-intuitive audio headset with wireless charge, adaptive noise control and proximity detector. It has the compatibility to connect with smart watches and induction charging stations. Comes in multiple colors and textures. This compact yet powerful tool comes with features that puts its in a league of its own. Dyson‘s new beauty uses proprietary intelligent heat to control for shine, frizz defying air for swift drying and precise styling using a microprocessor powered by the digital motor V9. Perfect for untamed thick hair or diffuse curls. Kate Spade Bangle Tracker is your personal Siri on your wrist. Provides you with tools to stay stylishly organized, track your steps, sleep, habits and controls music, take selfies, notification alerts and best of all…it never needs charging. The Mini-Clutch Speaker oozes pure sophistication in quality and design. It pairs with any Bluetooth device, has a built in speaker for hand-free calls, an aux-in jack and can charge an USB enabled device. Don’t worry. Even with all those features, it still can hold your daily essentials and has a mirror just so you can do some quick touch ups. Pretty neat, huh? An elegant TAG cable that you can conveniently put around any bag or key holder. Handcrafted with materials of fine Italian leather. Connectors are concealed with the TAG’s clochette to charge and sync from any USB power outlet. Travel smart, sleek and in style. Raden is built to deliver a seamless travel experience by integrating the latest components in technology. Weight sensors, built-in phone chargers, linking your phone and luggage using the Raden app and high quality materials and design to creating a perfect result. For iphone lovers, feast your eyes on this one of a kind Stella McCartney phone case featuring a gold-tone logo plaque and chain shoulder strap. Great way to fancy up your phone for a night of cocktails. 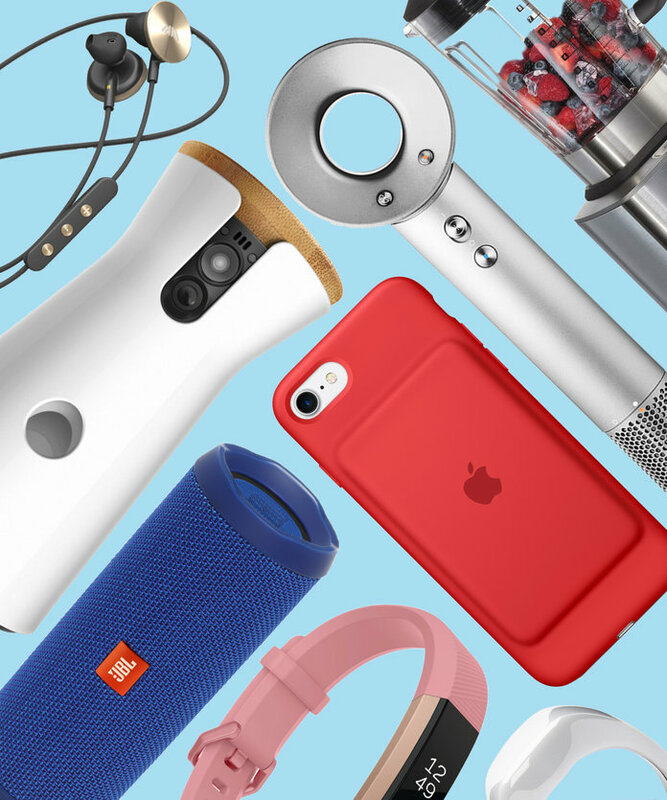 Hope you enjoyed taking a glance at some of these awesome stylish tech gadgets! Thank you for reading and have a great and stylish weekend!